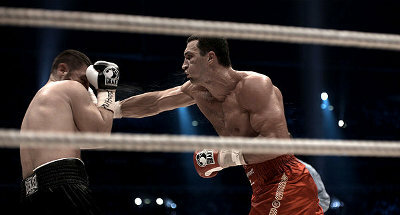 Klitschko tells the story of two of the most formidable boxers on the planet, Vitali and Wladimir Klitschko. Starting with their childhood days in the Ukraine right through to their phenomenal rise of being the two best heavyweight fighters in the world, this film gives viewers an amazing portrait of the brothers which was previously unimaginable. Directed by Emmy Award winner Sebastian Dehnhardt, Klitschko features the very first interview with Vitali and Wladimir’s parents in addition to conversations with hall of fame trainer Emmanuel Steward, interviews with former rivals, and a unique insight into the gruelling preparations the pair go through when readying themselves for a fight.